Click to read Horry-Georgetown student Parker Stancil's blog about his summer in Denmark. When one door closes, another opens. That's true in most instances, even if the door that closes is to the state of South Carolina. With Hurricane Florence steaming toward the southeast coast, four turf students from Horry-Georgetown Technical College scheduled to volunteer for the Tour Championship at East Lake Golf Club are headed to Atlanta a few days early after South Carolina Gov. Henry McMaster on Sept. 10 ordered evacuations of several coastal counties. That list includes Horry County, where Horry-Georgetown is located. H-G students Nate Hewitt and Mark Harrison went to Atlanta on Sept. 11, and Will Hord and Don Baggett will head out the following day. The group was supposed to work at the Tour Championship next week, but now will get in a few extra days of work on for the tournament scheduled for Sept. 19-23 at East Lake. We're happy to get them right through the weekend. It's some extra help we were not expecting. Charles Granger, associate professor at Horry-Georgetown, lobbed praise toward Ralph Kepple and Charles Aubrey, director of agronomy and superintendent, respectively, at East Lake, for agreeing to take the group of four early as they bugged out of the Myrtle Beach area. "The good thing is they get more experience. That's a win-win for everyone," a grateful Granger said. "The PGA Tour gets so much publicity already for their charitable donations. There's not a lot of time given to what the agronomy teams do for folks. That charity extends to the agronomy team, as well. "God bless Ralph and Charles and (administrative assistant) Mandy Rowell. I called them and explained what was going on, and within 45 minutes they had things taken care of for these young men." Kepple was only too happy for the extra help. His volunteer list will number about 75 for the tournament, with 35-40 staying for the entire week and the remainder working anywhere from two to six days. This is the fourth year that students from Horry-Georgetown have volunteered for the event. "We've had a few (volunteer) cancellations, so we just had to call the hotel and transfer some things around," Kepple said. "We now get them for more than a week. This is the best of all worlds for us. "We're happy to get them right through the weekend. It's some extra help we were not expecting. Once they get here, we'll work them right in with our crew every day from 6 a.m. until dark." Charles Granger of Horry-Georgetown, here at Chicago Golf Club earlier this summer, praised East Lake's agronomy team for taking volunteer students, who had to evacuate the Myrtle Beach area anyway, a few days early. 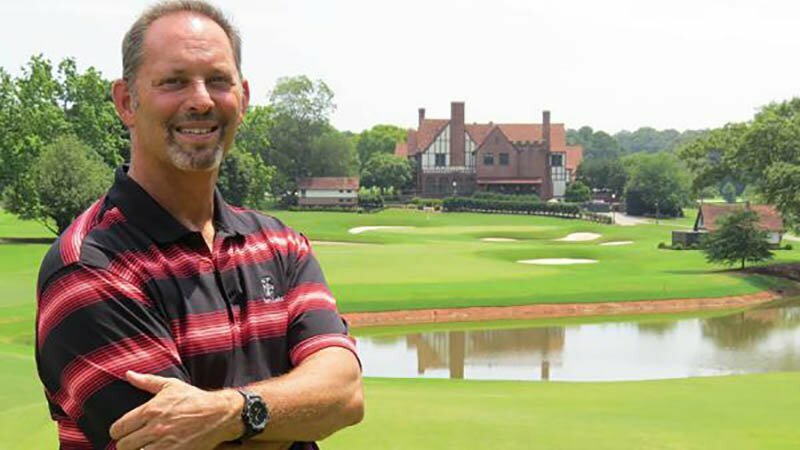 This year's tournament, which will include Tiger Woods' first return to East Lake since 2013, is the 23rd for Kepple, and its his 27th year overall at the home course of the great Bobby Jones. He's hoping he is able to keep his staff intact throughout the tournament, but whether that happens is out of his control. Aubrey and wife Anne Marie are expecting their first child any day now. "I'm hoping she's able to hold off until after the tournament," Kepple said. "But we'll see how that goes." The good thing is they get more experience. That's a win-win for everyone. Granger was supposed to accompany his students to East Lake, but his departure was delayed while he battened down the hatches on his home. He and wife, Michelle, a speech pathologist at Grand Strand Medical Center who is considered essential personnel, did not evacuate. Another H-G student, Josh Taylor, is a member of the South Carolina National Guard, and is waiting to see whether he is mobilized for disaster relief efforts in response to Hurricane Florence. A helicopter mechanic in the guard, Taylor was supposed to graduate last May, but that was delayed because he was on active duty in Afghanistan. The storm is expected to make landfall Friday morning along the coast in South or North Carolina. "This is a feel-good story in a time of need," Granger said. "It's a good feeling when you call a club you have a relationship with and ask them to change things and they say 'OK' in the blink of an eye. That speaks volumes about this industry. "Everything is about relationships; I don't care what business you're in. 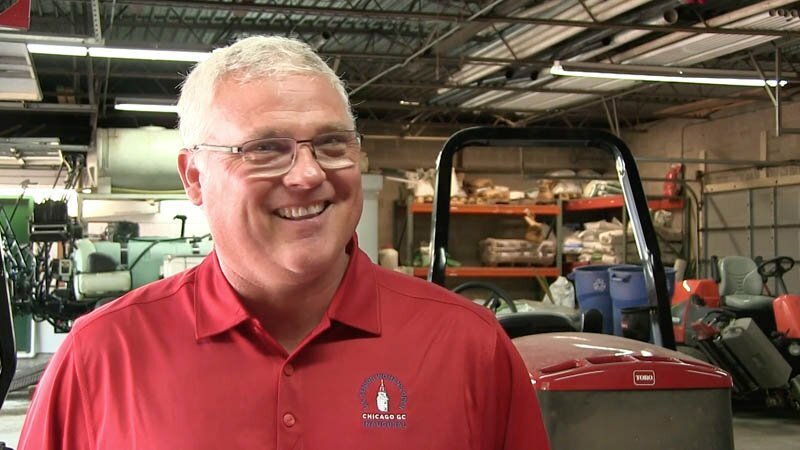 We think the world of every superintendent we have a relationship with, and we do a lot of tournaments."